Ali Rodriguez pictured in Caracas in 2009. CARACAS — Ali Rodriguez, an icon of Venezuela’s socialist revolution who went on to serve as a diplomat in top government posts, died on Monday. Mr. Rodriguez had served as ambassador to Cuba since 2014. 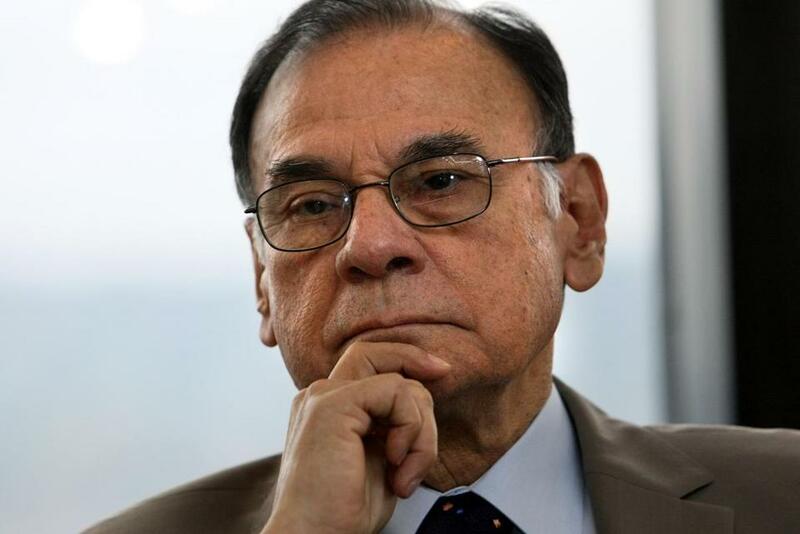 He passed away in Havana and was 81 years old, Venezuela’s state TV network said. Among stages of his storied career, Mr. Rodriguez oversaw the mass firing of thousands of workers at Venezuela’s state-run oil company PDVSA. He also defended the sharply anti-American foreign policy of the socialist governments of the late president Hugo Chavez and current president, Nicolas Maduro. The revolutionary fervor in Venezuela, however, never captured mass appeal, and in the 1970s most rebel groups surrendered. After former Venezuelan president Rafael Caldera forged a peace pact with the rebels, Mr. Rodriguez and others were granted amnesty for crimes that included kidnappings, bomb attacks, and bank robberies. In the 1980s, Mr. Rodriguez joined the Causa R party. He eventually became a central figure in Fatherland for All — another political party that supported then-presidential candidate Chavez. Later elected to Venezuela’s congress, Mr. Rodriguez made a reputation for himself as a negotiator and consensus seeker, although he was always a staunch opponent of opening up the oil sector to private investment in the 1990s. Mr. Rodriguez, a lawyer who did postgraduate studies in economics, was an influence to Chavez and was appointed minister of energy and mines at the beginning of Chavez’s first term in 1999. A year later, he left the position to serve as secretary-general of OPEC. In 2002, he was appointed president of PDVSA, where he failed to resolve the brooding internal conflict which led to a massive walkout. To break the strike, 18,000 employees were fired under Mr. Rodriguez’s management — nearly half of the oil firm’s payroll. In the years that followed, PDVSA recuperated and became the world’s fifth largest oil producer, producing more than 3 million barrels per day. But financial losses after the strike were steep, and the company never recovered its engineering talent. Production is now at its lowest point in decades. Mr. Rodriguez served as president of PDVSA until November 2004, when Chavez made him foreign ambassador to Cuba. He used the position to defend Venezuela’s anti-American foreign policy amid two decades of socialist rule.